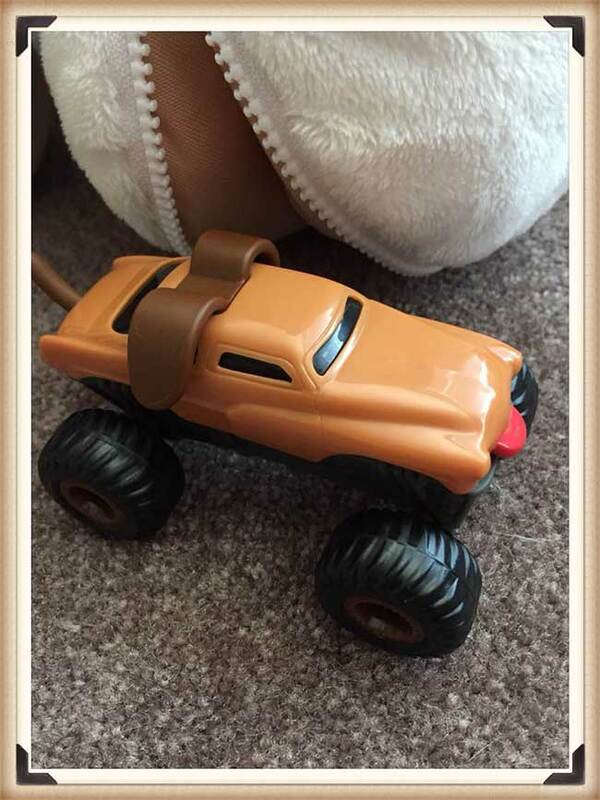 September 21, 2015 - The boy made one single trip to McDonald's this month, and scored Monster Mutt, one of the Monster Jam trucks. He was so excited by it that he left it in the bag and it sat lost and forgotten until I needed a picture for this month's round-up! 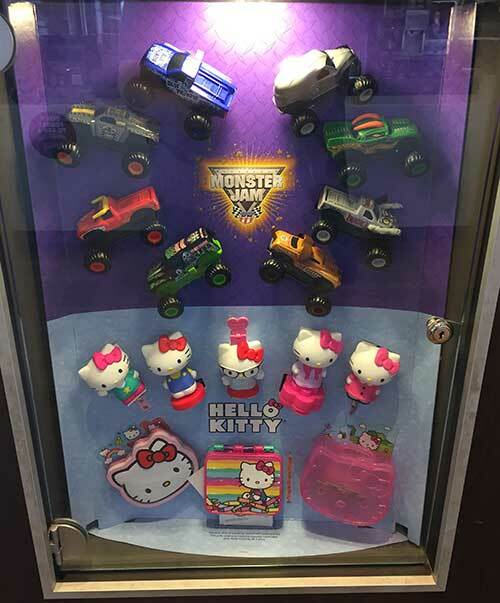 - McDonald's has a joint promotion of Hello Kitty school supplies and Monster Jam trucks in their Happy Meals. The next promotion shown is Hotel Transylvania 2. - Burger King's kids meal web site features The Simpsons toys. There are six different toys, including a watch and a calculator. - The Wendy's site is featuring Classic Playground Games in their kids meals. The under 3 toy is a board book. - The Chick-fil-A site shows five Blue Orange Games as the goodies in their Kid's Meals. The under 3 toy is a board book. - Sonic has Spooky Spoons that they are promoting in their Wacky Pack meals. - Subway Kids Meals have six different The Good Dinosaur messenger bags. - The Carl's Jr. and Hardee's both have Home toys and activities. Starting in early October, the promotion changes to Sonic Boom: Fire and Ice.